Aleesoft Easy Blu-ray Creator is a very simple Blu-ray Creator. This Blu-ray Creator can help you convert, author and burn M2TS to blu-ray disc . Supports high-definition (HD) video output in various resolutions: 1280x720, 1440x1080, and 1920x1080, also support 720x576 PAL, 720x480 NTSC. Meanwhile, Aleesoft Easy Blu-ray Creator can convert M2TS to DVD, VCD, SVCD. The .m2ts is a filename extension used for the BDMV (or BDAV) MPEG-2 Transport Stream container file format. It is used for multiplexing audio, video and other streams. It is based on the MPEG-2 transport stream container. This container format is commonly used for high definition video on Blu-ray Disc and AVCHD. 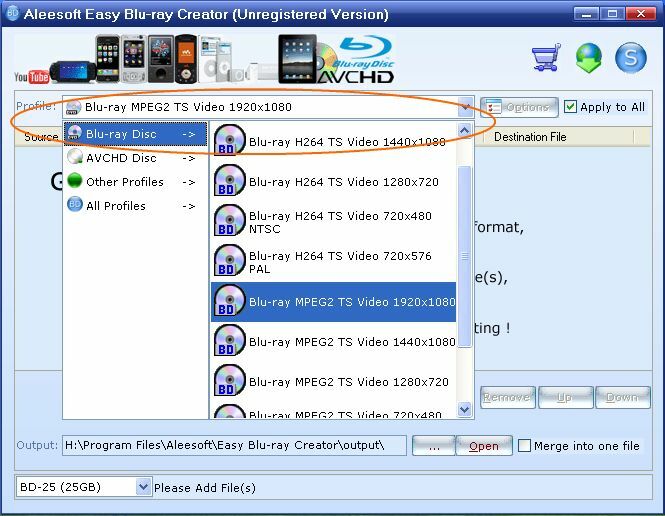 The BDMV (or BDAV) container format used on Blu-ray Discs can contain one of the three mandatory supported video compression formats MPEG-2 Part 2, H.264/MPEG-4 AVC or SMPTE VC-1 and audio compression formats such as Dolby Digital, DTS or uncompressed Linear PCM. Optionally supported audio formats are Dolby Digital Plus, DTS-HD High Resolution Audio and Dolby TrueHD. Before converting and burning M2TS video to blu-ray disc, please download and install Aleesoft Easy Blu-ray Creator. Step 2: Add video. Click "New Task" button to add m2ts video to this Blu-ray burner, also you can drag and drop video file from windows explorer into this m2ts video Blu-ray burner. Step 3: Convert. 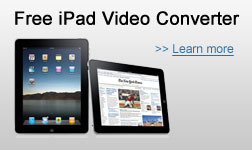 Click "Convert" button to start converting and authoring m2ts video to BDMV. Step 4: Burn. 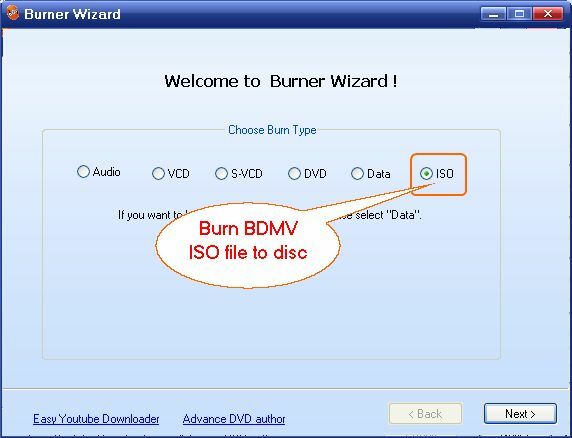 after M2TS video conversion completed, the powerful media burnner will be pop-up, you can burndig the converted ISO file to Blu-ray disc or AVCHD DVD. After burning completed, playback the burned disc on your Blu-ray player and Sony Playstation 3, enjoy to watching your M2TS movies. Now download Aleesoft Easy Blu-ray Creator and start to convert m2ts to blu-ray disc.